Retail in India is challenging as the key elements are not in synergy. In order to ensure that things fall in place its time retailers do more beyond just stores. Retail sector in India is undergoing a transformation phase. No longer can a retailer believe that putting more products into the store will lead to more sales. In last 5-7 years, customers’ shopping habits have changed owing to the changing retail landscape and easy accessibility to technology. With one-click customers have access to global brands and variety of products at their disposal, having said that when it comes to Indian customers the shopping drivers are different than those in a developed economy. For example, for Indian customers touch-and-feel factor while shopping play an important role; this might lead to a conclusion that brick-and-mortar stores will drive the majority of sales for a retailer and other shopping channels (e.g. online etc.) – which don’t offer touch-and-feel experience - are (and going to be) small contributors to the overall sales. While this is somewhat true at this moment but these channels have an untapped potential. In order to fully augment these different shopping channels, it is imperative to innovate and tailor the offerings according to the needs and wants of Indian customers. The traditional retail layout is going to be less relevant in next 3-5 years. 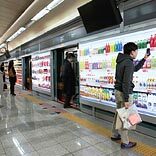 Retail stores of future need to put high emphasis on visual merchandising,advanced technology, customization and personalization of with in store offerings to give customers an overall great shopping experience. In-store services need to be tailored according to the customer segments to develop strong loyalty leading to higher store sales. Additionally, online presence should not be ignored. This is important because the actual product purchase happen at the store, but the purchase decision journey starts well before the store visit and information on internet is a key influencer in the purchase process. According to a Nielson study, halfof the Indian consumers use social media sites to help them make online purchase decisions. 1) Low Internet penetration and Lower online purchase penetration: Internet penetration rate in India is ~9% and a total of 9 million Indian internet users carried out online transactions in 2011. Though the current penetration levels are low, but these rates are expected to grow exponentially. Thus, it is important for retailers to prepare themselves to tap the early adopters of technology. For the current online users, it’s important to engage with them outside of the store as well. 2) Low penetration of internet users from mobile: According to a study by IMRB, of the India’s general internet population, 9% go online via mobile. So merely online presence would not help in achieving the desired outcomes, retailers have to optimize their advertising spends across communication channels to drive in-store as well as out-of-store sales to have high marketing ROI. As penetration level of mobile data users increases, shoppers’ in-store shopping experience can be further enhanced by providing them mobility services to check products, compare prices, and provide feedback on product and services. 3) High real estate prices: Real estate prices in Tier 1 cities are very high leading to high operation cost for the retailers. Tier 2 cities are also catching up on the real estate prices, so retailers need to strategically plan their store layouts in order to address the consumer demands without having high inventory levels lying in their stores or warehouse. Store of the future would not just be restricted to four walls but will be available to customer on his/her computer, smart phone, tablet and customers will be able to access it physically, electronically, digitally and by calling. Store of the Future are going to be well connected in order to have an optimal balance between inventory levels and product delivery. Customers will have visibility into the price and availability of the products at the competitor store. Future Store should be seen as a place of brand endorsement, showcase of product range, and demonstration of product features; all this collectively should deliver a great shopping experience to the customer. The article is compiled by Rohit Nasa, Principal - Business Consultant and Nikhil Gupta, Senior Associate - Business Consultant, Infosys.